It was an enigma of the Vietnam War: American troops kept killing the Viet Cong—and being killed in the process—and yet their ranks continued to grow. 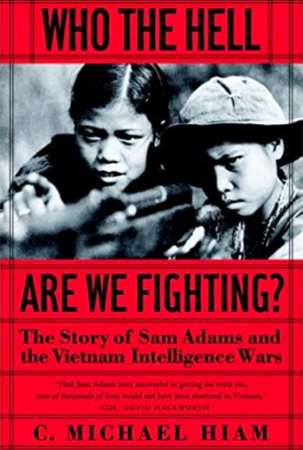 When CIA analyst Sam Adams uncovered documents suggesting a Viet Cong army more than twice as large as previously reckoned, another war erupted, this time within the ranks of America’s intelligence community. Although originally clandestine, this conflict involving the highest levels of the U.S. government burst into public view during the acrimonious lawsuit Westmoreland v. CBS. The central issue in the suit, as in the war itself, was the calamitous failure of U.S. intelligence agencies to ascertain the strength of the Viet Cong and get that information to troops in a timely fashion. The legacy of this failure—whether caused by institutional inertia, misguided politics, or individual hubris—haunts our nation. In the era of Chelsea Manning, Julian Assange, and Edward Snowden, Sam Adams’ tireless crusade for “honest intelligence” resonates strongly today.